Valiant has shaken up its universe in the Divinity III: Stalinverse series. To illuminate the brave new world of this concept Valiant is releasing a number of first issues in December and January. In Valiant’s alternative reality its greatest heroes are transformed into operatives of the Soviet Union. The first special will be Divinity III: Stalinverse #1. Writer Matt Kindt (Ninjak, Rai) and artist Trevor Hairsine (X-Men) are bringing this episode to the comic pages. A worldwide Soviet empire now rules a world order as the Iron Curtain extends across continents. The regime harbors powers far beyond the comprehension of mortal men. 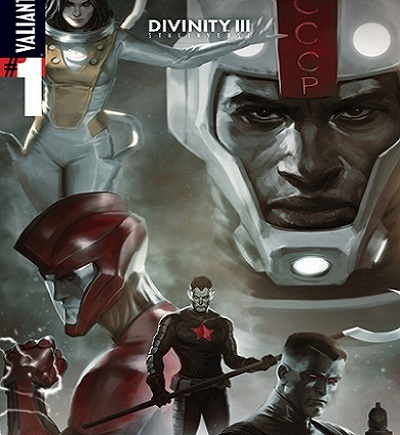 Divinity III: Stalinverse #1 is slated for release on December 21st. Divinity III: Komandar Bloodshot #1 will be available in comic book stores on December 28th from Jeff Lemire (Bloodshot, Justice League) and Clayton Crain (4001 A.D.). 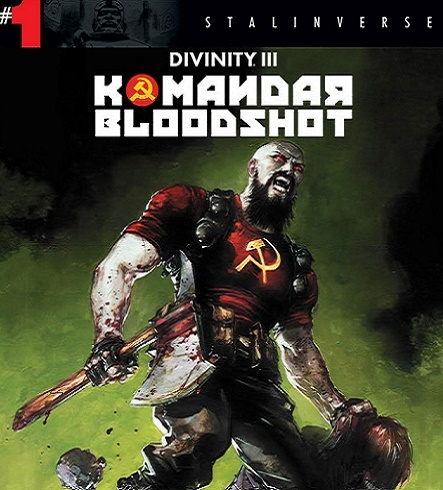 The global Soviet war machine has reassigned their best operative Komandar Bloodshot from Moscow to the middle of the heartlands of the United States. The four special issues will explore the shocking truth about his power, his allegiances, and his true identity. Divinity III: Aric, Son Of The Revolution #1 is an instalment that will be released on January 18th. This episode follows the action in the aftermath of Komandar Bloodshot #1. Joe Harris (The X-Files) and David Lafuente (Ultimate Spider-Man) create a world where X-O Manowar is the supreme fighting force of the Soviet Union.